The side of my head stung and I winced silently. But even if I’d cried out it would have been drowned out in the sea of cheers that flooded the little bus. We’d arrived, and it seemed everybody but me was delirious with excitement. I would have sighed, but that would have meant talking a big gulp of the stale air: the way my stomach was churning, there was no way I could risk that. I needed every bit of inner calm I could muster. I was about to give the performance of my life. And this from the kid who’d never, ever been picked for any school play. Harper and Heidi might be identical twins but their interests are very different: Heidi loves sun, skating and surfing, while Harper is into horses and all things agricultural. But, when Heidi causes the accident that leaves Harper unable to attend jillaroo camp, the sisters decide the best course of action is for Heidi to go in her place. It’s up to Heidi to pretend to be Harper, and impress the teachers enough that Harper can win a place at her dream school. While Harper recovers at home Heidi readies herself for ten days or horse riding, fencing, and handling cattle. And ten days of pretending not to be herself. She doesn’t count on meeting the handsome Chaz, or on one of the campers being Trent Weston – who knows the real Harper. Keeping her secret is not going to be easy. The Reluctant Jillaroo uses the idea of a twin-swap as the premise for a satisfying blend of romance, mystery and adventure, set in rural Australia. Heidi’s attempts to fit into farm life lend lots of humour, and the growing relationship with the affable Chaz adds interest, as does a mystery about a series of mishaps and missing items. 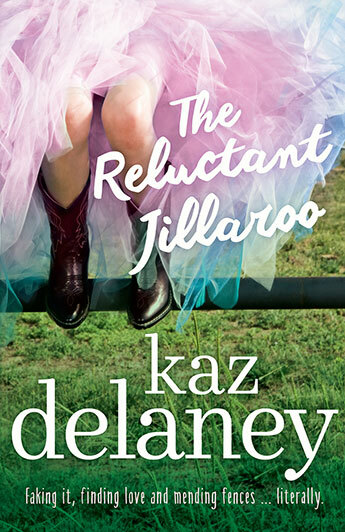 With horses, romance and mystery, The Reluctant Jillaroo is likely to appeal to teen readers.